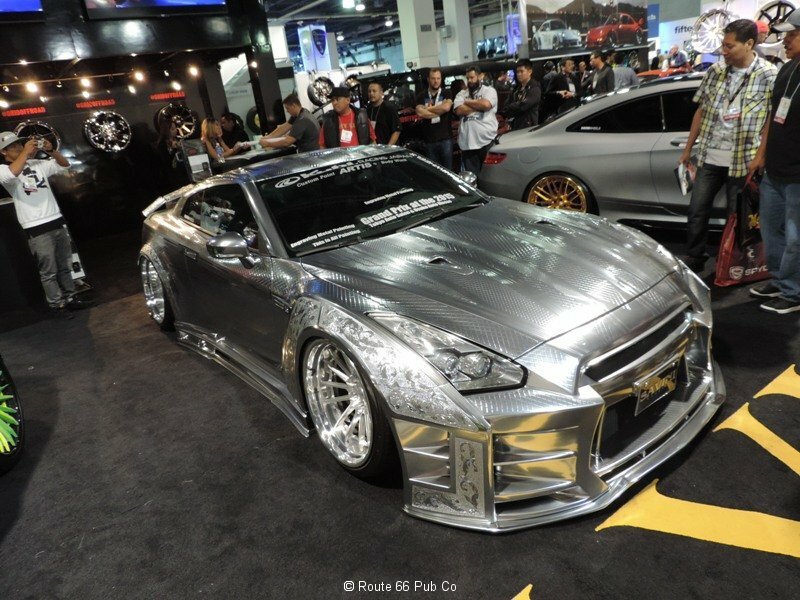 Okay so perhaps you get jaded at the SEMA Show with all the rides on display. 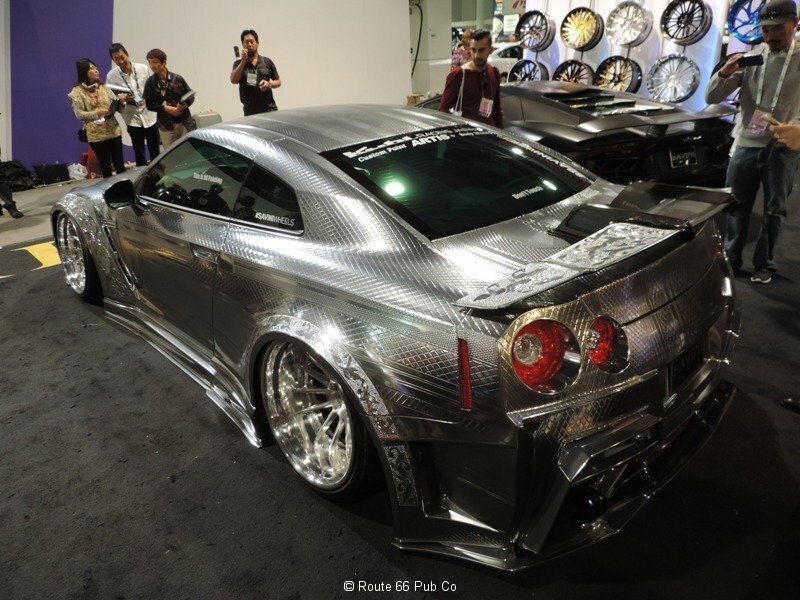 After a while you might say, “enough” but then you turn the corner and spot this 2013 Nissan GTR. Yes, ignore the eye candy and focus on the car. 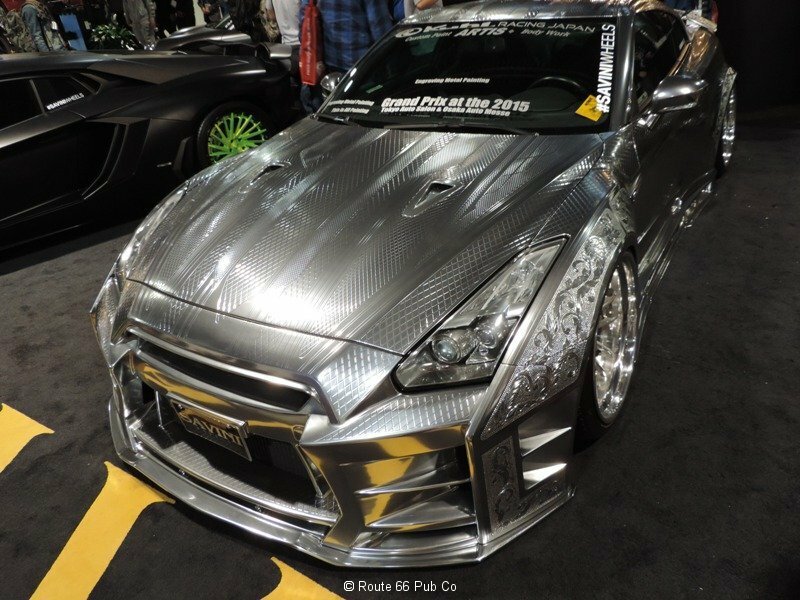 Sure a Nissan GTR may not be super rare, but it is different, right? 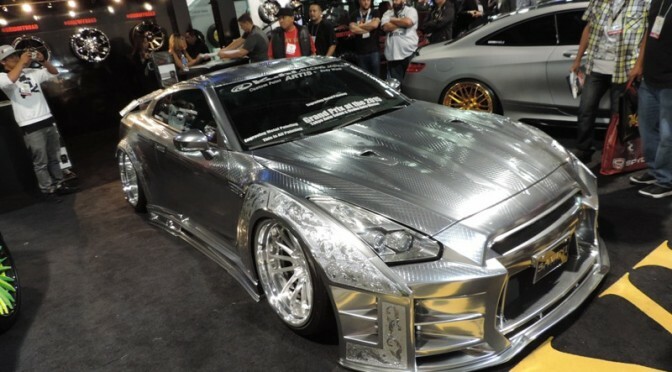 But then check out the exterior finish. 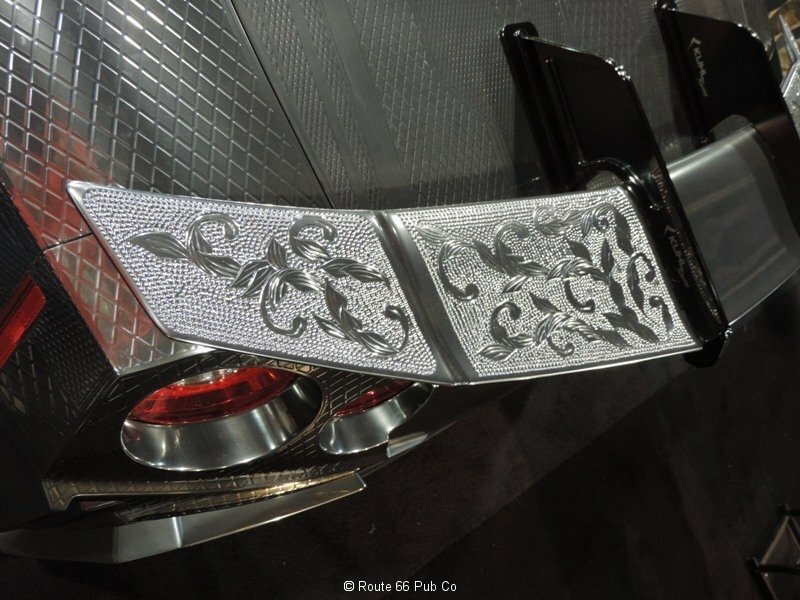 That my friend may look like somebody silversmithed and engraved into the metal; but it is actually layers upon layers of paint! 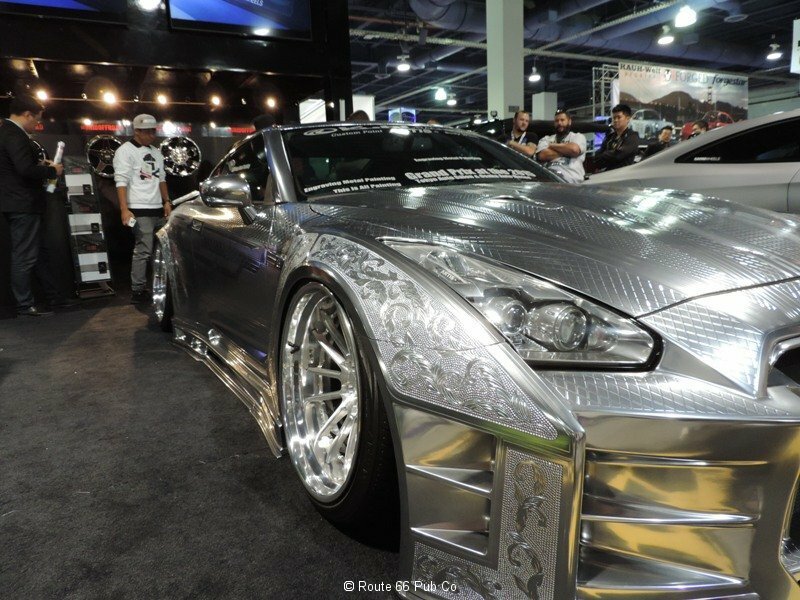 The artists from Japan slaved over this Nissan and with extensive taping added on layer after layer of paint to end up with this engraved look. They even used a buffer and tapered tool to grind into the paint and create some of those images. 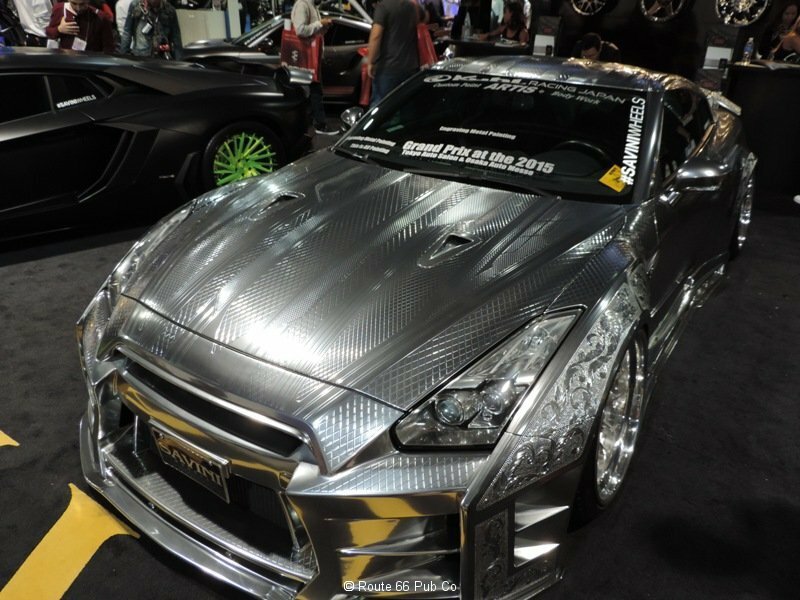 One of the workers was present at the show and mentioned they were then working on a different model for the upcoming Japan Car Show but in gold tones. 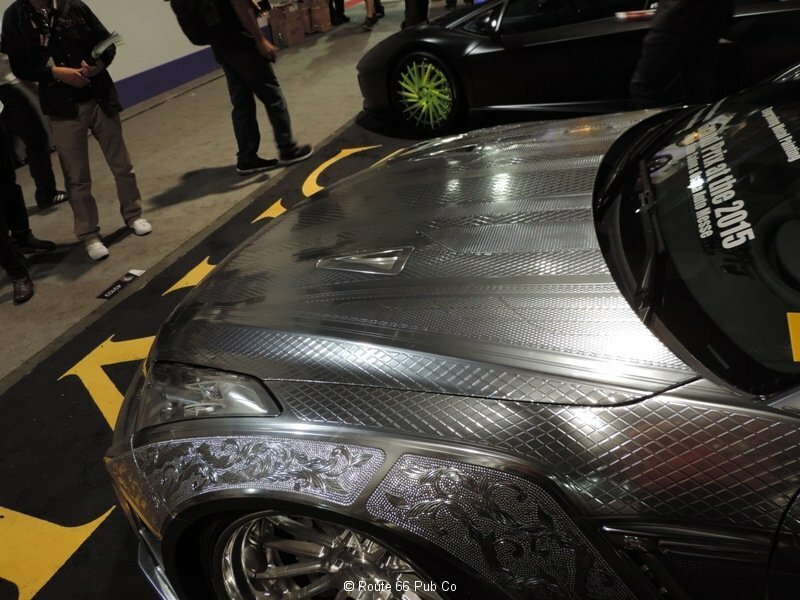 Forget the car, the artistry to make the paint act as engraved metal is outstanding. What do you think?